Posted on April 12, 2018 . Henrico County has earned a 2018 Governor’s Environmental Excellence Award for its energy management program, which promotes efficiency and sustainability in county operations for the environmental and economic well-being of residents and employees. Henrico won a silver medal in the statewide awards program, which recognizes government agencies, businesses and nonprofit organizations for work that advances sustainability, environmental projects, land conservation and implementation of the Virginia Outdoors Plan. 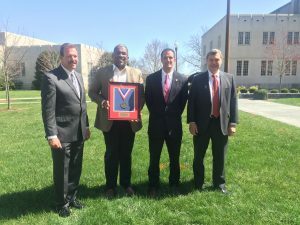 John H. Neal Jr., director of Henrico’s Department of General Services, accepted the award April 5 at the 29th Environment Virginia Symposium in Lexington. Henrico has designed and constructed 15 government and school buildings that have been certified as meeting sustainability standards under the Leadership in Energy and Environmental Design (LEED) program of the U.S. Green Building Council. The county’s LEED-certified buildings are using 35 percent less energy per square foot on average than the buildings they replaced. Henrico installed LED luminaires in traffic signals to improve reliability and reduce energy costs. In general, LEDs use half as much energy as traditional bulbs. Henrico constructed a 4-megawatt generator at the now-closed Springfield Road Landfill that converts methane gas into electricity. Henrico has sponsored energy fairs each spring and fall that are free and open to the public. The Spring 2018 Henrico County Energy Fair — scheduled to complement celebrations of Earth Day — will be held from 3 to 5 p.m. Friday, April 27 at the Varina Area Library, 1875 New Market Road. 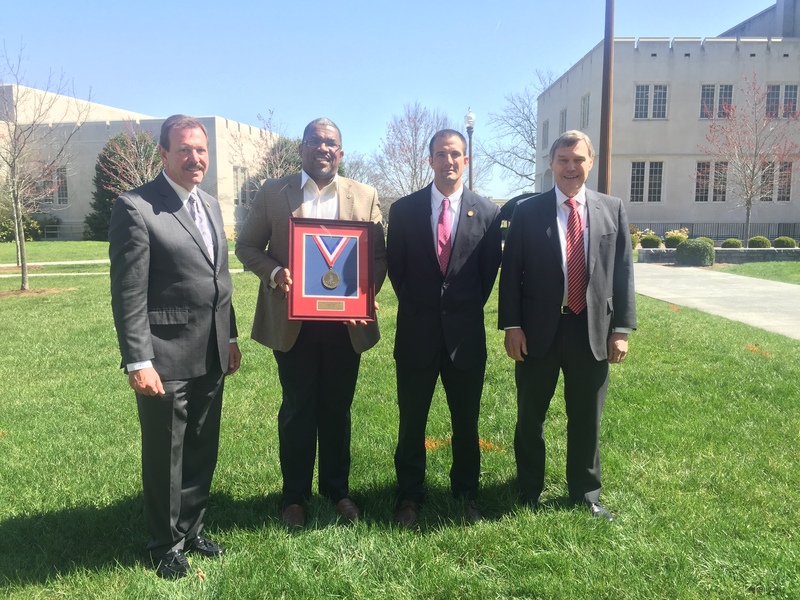 Photo: John H. Neal Jr., director of the Henrico County Department of General Services, holds a silver medal from the Governor’s Environmental Excellence Awards program in recognition of Henrico’s energy management program. Appearing with Neal from left to right are Clyde Cristman, director of the Virginia Department of Conservation and Recreation; Matthew J. Strickler, Virginia secretary of natural resources; and David K. Paylor, director of the Virginia Department of Environmental Quality.